It's a season with some sparkling highlights to look forward to - Alice's Adventures in Wonderland & Onegin (which will hopefully satisfy some ballerina's hopes in terms of casting), and some productions which have already been seen during this current season - Cinderella, Les Patineurs, Tales of Beatrix Potter for example. So a season of two halves perhaps, and very much a (Monica) Mason vintage. Christopher Wheeldon goes down the rabbit hole in his much-anticipated Alice's Adventures in Wonderland, which is a co-production with The National Ballet of Canada and will premiere in February 2011. Resident Choreographer Wayne McGregor will showcase another new ballet on May 13th 2011 as part of a triple bill (details below). Kim Brandstrup, whose Rushes - Fragments of a Lost Story has been recently revived, will be back with a new ballet as part of a triple bill opening the new season, in October. The fourth world premiere is by ROH Associate Artist Aletta Collins, who will choreograph a new work in the smaller Linbury Studio Theatre in June called Duet for One. This will be paired with La Voix humaine (it's first performance at the Royal Opera House). 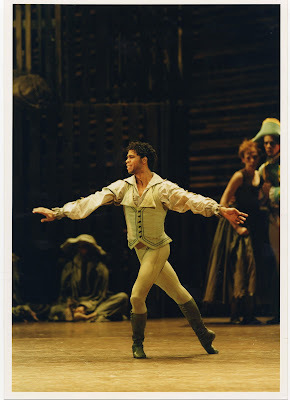 Rhapsody/Sensorium/The Rite of Spring (16 March 2011) - The part of The Chosen One will be danced in these performances by a male dancer. Ballo Della Regina/New McGregor/DGV : Danse A grande Vitesse (13 May 2011) Balanchine's Ballo della Regina will be a Royal Ballet and European Premiere. In addition, Ballet Black will return to the Linbury Studio Theatre in February 2011 for their fifth successful season, where they will perform a new work. Cathy Marston's Bern Ballet return with two new works in May, which will be UK premieres. Booking opens on 29th June 2010, by phone 0207 304 4000 and via the ROH website. 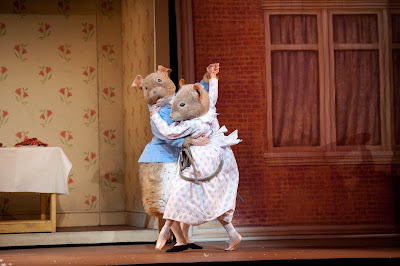 oh those mice look so sweet, I wonder how difficult it is to dance with that costume on! These were magic. 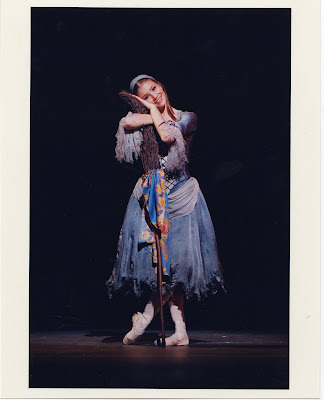 Love to see the costumes and grace. Ahhh... lovely visit. Blessings. Excitement crackles through your post. Those mice are so adorable! Amy C - very difficult indeed ! The dancers are not keen on the costumes as they are so bulky and hot. But it's a mark of how great they are, that they can portray tiny nuances of the character and still get that across through all the fur, giant heads, trotters for hands and bushy tails etc,. Such a Wondrous Place this Faery Space - thank you ! So kind of you to say so. Much appreciated. Cloudia - thank you ! gleenn - looking forward to Alice; Wheeldon is a great choreographer but this is a big deal because it's the first full length story ballet for just about ever - so the story has to be strong - as Andrew Lloyd Webber has found out ! Otherwise the critics will notice ! !